For four performances only, one of South Africa’s most versatile Musical Theatre Stars – Jonathan Roxmouth – takes to the magnificent Teatro stage to perform all your favourite Broadway hits – accompanied by a full 55-piece orchestra! 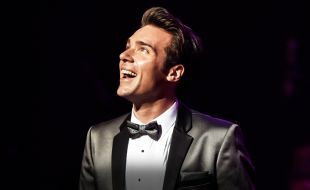 Jonathan Roxmouth made SA Theatrical history in September 2015 as the first local artist to headline a series of Broadway Concerts entitled From The Footlights. Rapturous audiences packed the Teatro to hear him perform classic Broadway Songs backed by an 18-piece Broadway Big Band. 2017 saw him returning to the prestigious venue in The Musicals In Concert with a full orchestra as well as an exceptional cast of 20 to perform the famous songs of Leonard Bernstein, Stephen Sondheim, Rodgers and Hammerstein and many more well-loved composers. The show features all your favourites - the arrangements of these songs have been custom-written to showcase Roxmouth’s vocal versatility and virtuosity to the max. Many songs are also featured on Roxmouth’s latest album entitled My Lloyd Webber. Audiences can look forward to songs from The Phantom of the Opera, Les Miserables, CATS, Aladdin, CHESS, The Sound of Music, A Chorus Line, Sunset Boulevard, Aspects of Love, Love Never Dies, Joseph and the Amazing Technicolor Dreamcoat and many more.